We at Idea Studio are happy to announce that our team is expanding with another collaborator – the author of the content (copywriter) Svetla Yordanova. Padded with journalistic education and in deep passion of useful and successful SEO texts Svetla writes publications how to sell sand in the desert or snow to Eskimos. Hopefully, his articles will be interesting for all. 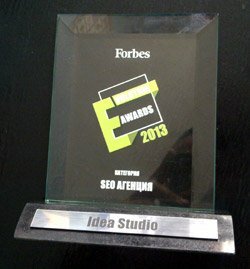 The first visitor, who asked a question to the speakers at the end of SEO Conference 2014 will receive an award from the Manager of Idea Studio Ltd. – Borislav Arapchev . The prize is a one-year license for the Russian software to determine the positions of the website in search results on Google – SERP Parser Pro. We hope in this way to stimulate the activity of the participants in the conference and make one of them more successful! We released online the new website for Boutique for furniture Livers. It is the work of the both companies – SEO web design Ltd and Idea Studio Ltd.. The site is built on the Drupal CMS platform and presents the company Livers – making boutique furniture by request. The manager of Idea Studio Ltd. Borislav Arapchev will be a speaker at SEO Conference 2014 which will be held on April 4, 2014 at Inter Expo Center Sofia . Ways to create unique content. Our daily work to help the optimization. Where, how, ideas, examples. This entirely practical and very useful event will be familiar with the techniques and ideas for successful presentation of your business in the internet space. More about the event, you will learn the address below. Merry Christmas and Happy New Year 2014, dear customers, colleagues and friends! We thank all of you who were with us last year. We wish you much Prosperity, Love and Happiness in the New Year! Nice holidays and time for rest and joy! New column for SEO advices started in the Bulgarian online IT portal Social Evo. Author of the materials inside the column is Borislav Arapchev, Idea Studio CEO. SEO advices of Borislav will contain useful information – how to manage your web-site wisely, so the search engines to love you.